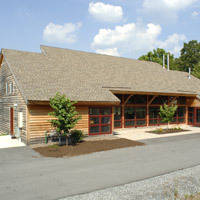 Juniata is proud to offer students an opportunity to learn at Shuster Hall at Raystown Field Station, a LEED certified building. 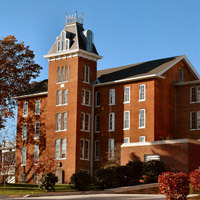 Construction was completed in 2003, and Juniata already has plans for another LEED certification. LEED stands for Leadership in Energy and Environmental Design, and is considered the benchmark for the design, construction, and operation of high performance green buildings. The LEED Green Building Rating System uses a point system to determine the level of rank a building will be. The rating is determined by the number of points a building gets, which are calculated by looking at different aspects like construction activity, water efficiency, energy use, material and resource allocation, indoor environmental quality, and innovation and design process.